Reserve now! Only 3 seats available. This event requires a passcode to register. This is a Private Party. A password has been set by the host. If you are participating in this event please contact the host for the password. If not, please navigate back to our calendar to find a public class for which you can register! YOU'RE COMING TO PAINT AND PARTY! 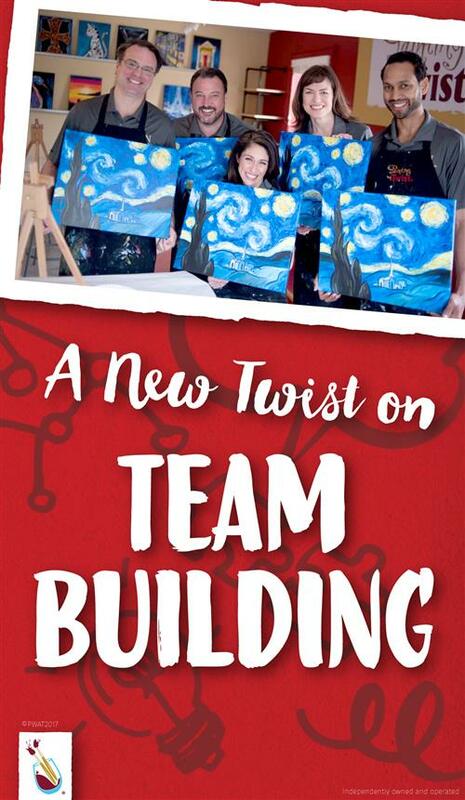 Please note that the posted start time of the event is 30 minutes prior to the scheduled start time of the painting. The guests are welcome to to enjoy this "Happy Half Hour" with their friends getting ready to paint! You may use this time to set up, enjoy your beverages and snacks, and get ready to paint! The posted end time is 30 minutes after the scheduled end time of the painting. 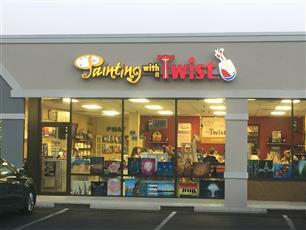 We provide all of the art supplies, as well as cups, napkins, paper plates, and corkscrews. Please note, we do not provide ice or utensils. Prices are the same per person as our regular public classes ($25 for an hour-and-a-half painting, $35 for a 2-hour painting, $45 for a 3-hour painting). The host will receive a $35 gift certificate which they can use for any future public class or private party! REFUND/CANCELLATION POLICY: We require 24 hrs notice of cancellation so that we may offer your spot to another customer. A refund or store credit will be given for individuals canceling with at least 24 hrs notice. (Please leave a message if calling after hours.) Customers who do not call and do not show by the scheduled start time of the painting will not receive a credit or a refund of any kind. Painting with a Twist reserves the right to cancel classes or change paintings due to low enrollment or unforeseen circumstances. Registrants will be notified at least 24 hrs prior to class time and offered a refund or a store credit. 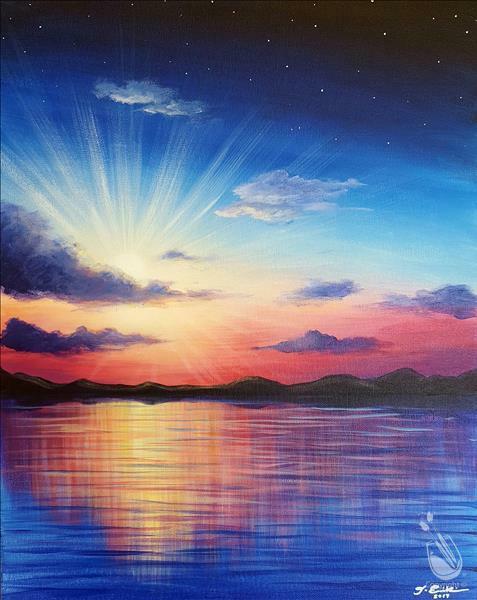 REFUND/CANCELLATION POLICY: Painting with a Twist requires at least 24 hours prior to the published start time of the class in order to receive a refund if you need to cancel. Cancellations may be made by phone (voicemail is acceptable) or e-mail. Refunds will not be given under any circumstances with less than 24 hours notice. Refunds or store credits will not be given under any circumstances for no-shows after the class has begun. We are a BYOB establishment. As per Pennsylvania law, guests must be 21 or older to consume alcohol. You must be at least 18 years old to attend an adult class. If this is an adult class & someone in your group is younger than 18, please contact us to transfer to an ALL AGES class or to make other arrangements. See class description for class type.